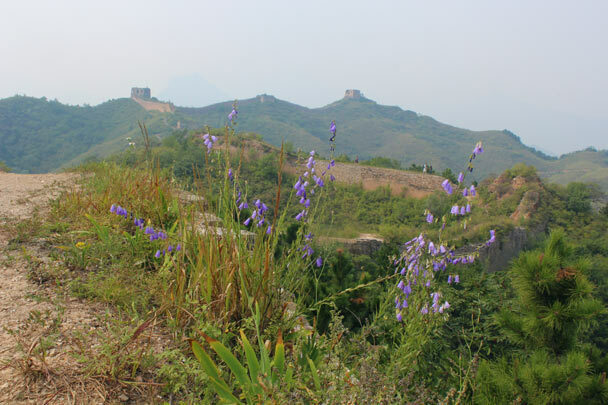 In Brief: Photos from our hike along the Great Wall at Gubeikou during the Mid-Autumn Festival holiday. 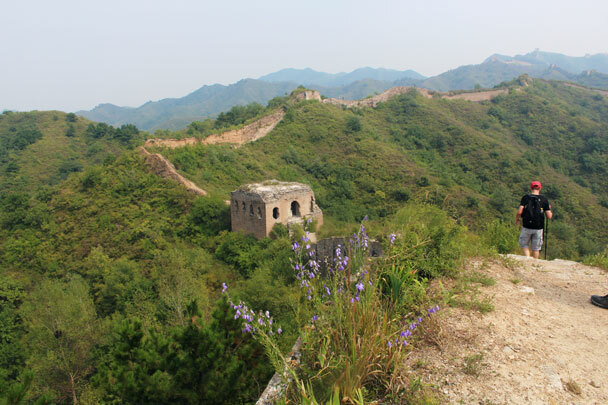 During the Mid-Autumn Festival holiday we headed out to the Gubeikou Great Wall for a spot of hiking. The air was clear, and we had lovely views of the Great Wall snaking through the green hills. 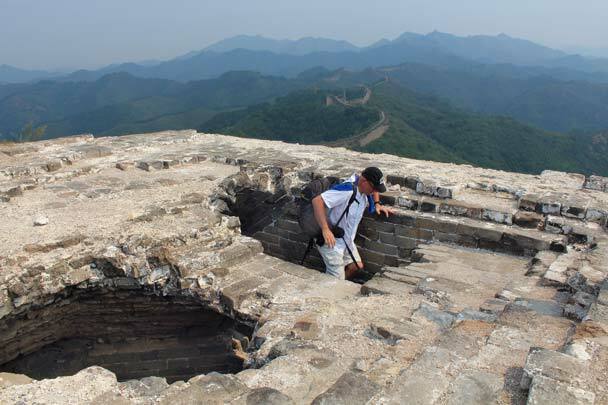 The Great Wall brings a lot of history – some ancient, and some more recent. This stretch of wall was the site of a pitched battle between Chinese and Japanese forces in the 1930’s, and you can spot some of the evidence if you keep an eye out – bullet holes can be seen in old bricks, as well as damage to towers caused by shelling. A large gate in the wall is being reconstructed, years after being knocked down to allow a road to go through. Hiking along a rough section, where the brick casing has fallen away to reveal the rammed earth within. An unusually constructed tower, with an octagonal inner room and an arched ceiling. 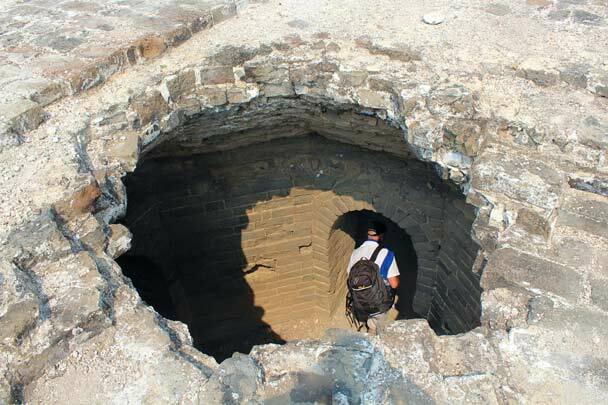 It’s said that the hole in the roof of the tower was caused by artillery. 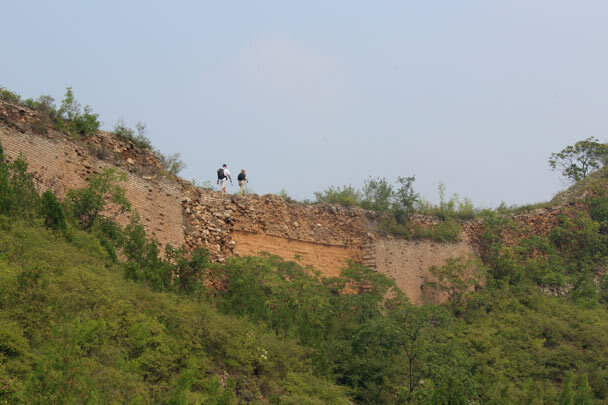 A hiker climbs up for a look, with more of the Gubeikou Great Wall seen in the hills beyond. Wild flowers on the Great Wall. 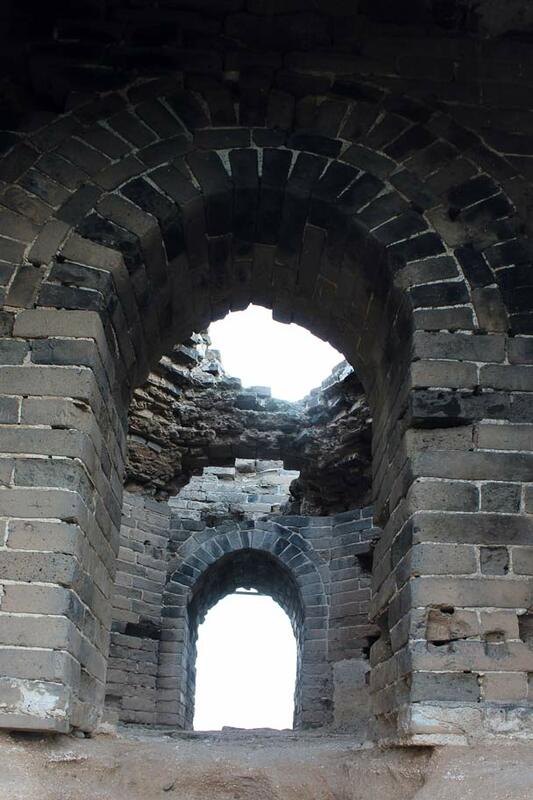 The hike continued along the Great Wall, passing through the large square tower. 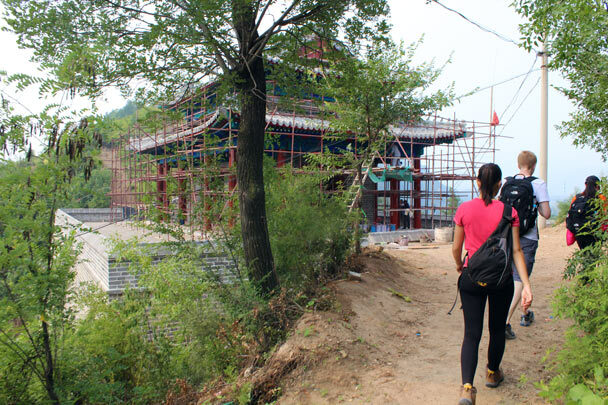 In Brief: See 30 photos from a fun hike on the Great Wall from Huanghuacheng to the Little West Lake.